Lawrence Dicks studied at the University of Plymouth Exeter, under the tuition of influential teachers including John Virtue, Nina Saunders, Neville Gabie and Turner prize nominee Vong Phaophanit. The program was conceptual, visual and creative. He knew early on that sculpture would be his medium, enjoying the physicality involved. At University he was inspired by some of the great sculptors of the 20th century; Hepworth, Moore, Brancusi. The work of Peter Randall-Page, David Nash and Richard Long were inspirational to him, as he began his own practice. 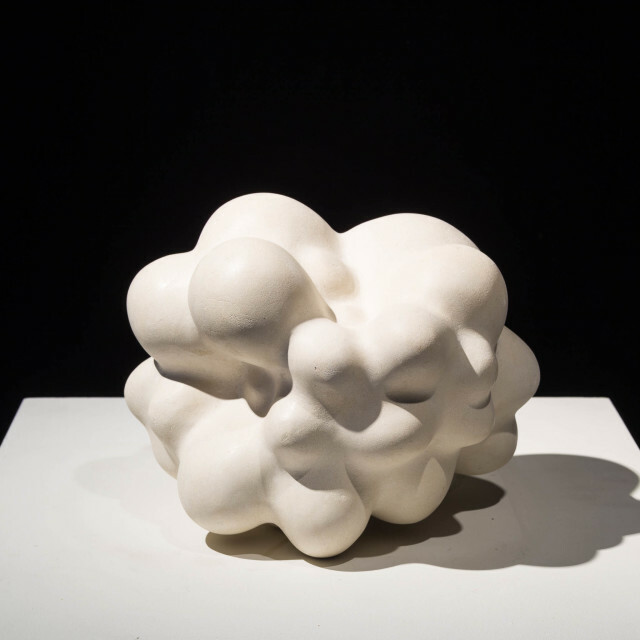 Taking natural phenomena in general, cellular structure in particular, and slowly exaggerating by deconstructing the repeating patterns into strange, tactile yet somehow simple objects has been a theme in his work since the beginning. His over arching interest is the human condition, what it feels like to be alive - indeed why we are alive. We have become adept at scanning, editing and moving on as quickly as possible. No longer interested in creating shapes that are easy to scan, Lawrence's intention is to make the viewer pause, take a closer look, engage on a deeper level. He has observed that everyone will have a different, unique reaction to the shapes and arrangement of a series of objects. Lawrence believes that there is a specific area of human experience where sculpture is more potent than verbal communication. It is his (initially subconscious) psychological investigation that explores and embraces the subjectivity of the viewers response to his work that helps explain to him what it means to be alive.